Ashley Boling, DDS, is the Dentist Owner of the Cookeville, TN location. She graduated from University of Tennessee College of Dentistry. 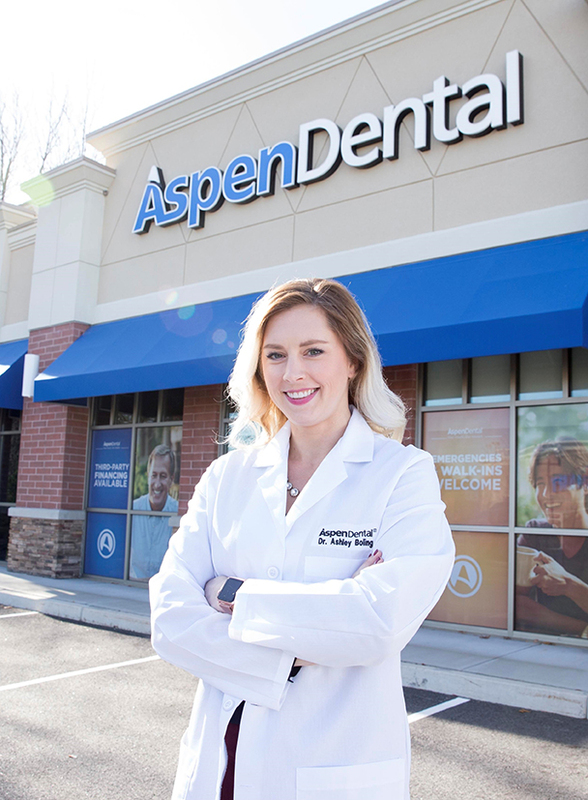 With 9 years of valuable dental experience, She and the rest of the Aspen Dental team are proud to offer professional, compassionate care to patients like you. Dr. Boling loves being a dentist in her hometown community of Chattanooga. Her husband is also a dentist and they love spending time outdoors with their dogs. As a dentist in her hometown, Dr. Boling makes it a point to give back to her community. Every year as part of the Healthy Mouth Movement, she and her staff look forward to volunteering during Day of Service and aboard the MouthMobile.